My first transceiver was a Realistic/Radio Shack HTX-202 “handie talkie”. They can be seen in pictures of my shack from the 1990’s. 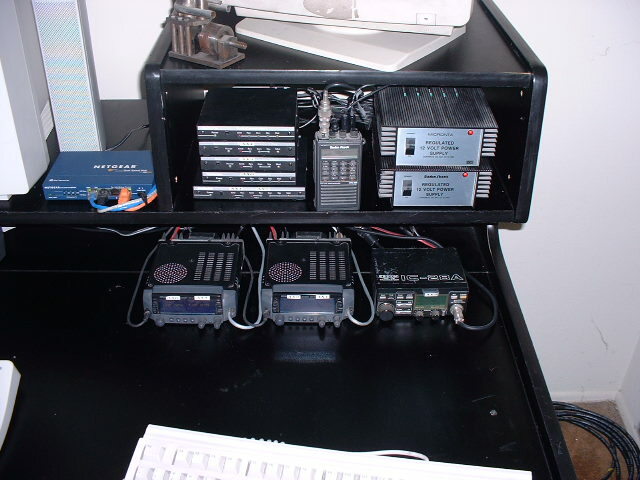 I used HTX-202’s and 404’s for packet radio when I first got started. They sure took a beating! I ran them 24/7 for 10 years. They were relatively inexpensive, and they worked great for packet. I eventually replaced them with Kenwood TM-V7A‘s. The HTX-202’s worked great for packet radio! 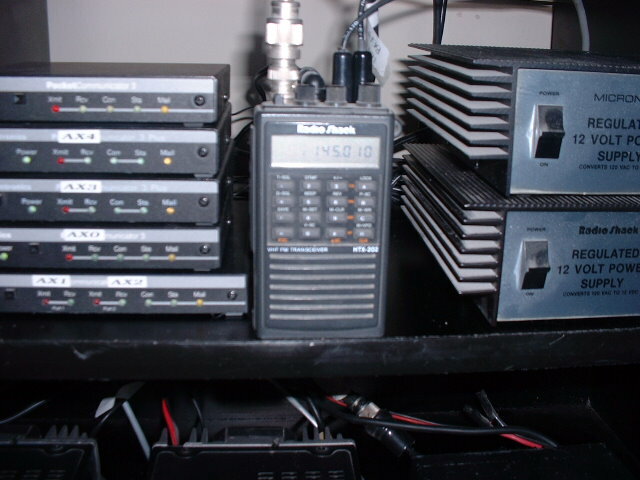 The Kenwood’s were dual band transceivers and I connected a TNC to each side of the radio. I could do packet radio V/U V/V U/U. It worked so well I bought two of them. They also did 9600 baud which was a deciding factor. I never experienced any problems with the TM-V7A’s either. 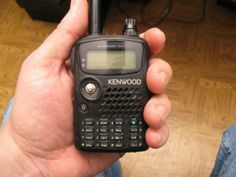 I had started as an SWL with a Kenwood R-5000 and after success with the TM-V7A’s I decided to look at the Kenwood HT’s. Being a digital enthusiast, I purchased the Kenwood TH-D7A because it had a TNC and APRS built-in. It was another good investment, and I kept it for several years. I currently own a Kenwood TH-F6A. It’s very small. I bought it because I could carry it in a shirt pocket. Then, there is the argument for the Baofeng . 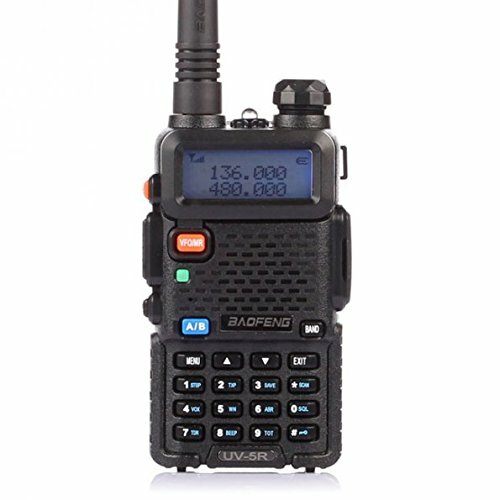 The Baofeng UV-5R has taken the amateur radio market by storm. These inexpensive $25 HT’s get the job done. Nothing fancy for $25, but they will get you into the local repeaters and sound just as good as anything else. I hear people using them all the time. And it never fails, someone will say “Hey, you sound good, what are you using?”. Hard to tell what it is by the sound….could be a Kenwood…or a Baofeng! 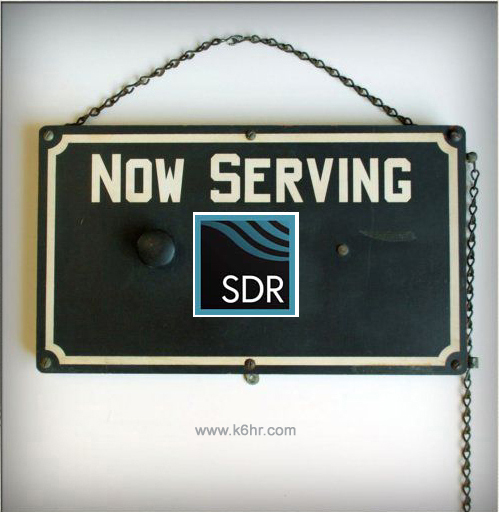 Great little No Frills transceiver! It’s amazing these can be sold so inexpensively. In the beginning it was hard to believe the price. Quite frankly, I didn’t care what it sounded like for $25, as long as it worked! I have no problems working the local machines with my UV-5R. Is it a Kenwood? No, of course not. But it’s $25! Buy two! Give them as holiday gifts! Keep one in the car, just in case!